Jacky Naylor (piano); Nick Jurd (bass); Jonathan Silk (drums). There is probably nothing that quite encapsulates the beauty of jazz than an accomplished piano trio. This was emphasised in spades as this marvellous outfit captivated a packed Lit and Phil on Friday night. All the music played were Naylor originals and were extremely complex even if he said so himself. He also said how hard it is to get musicians to plays one’s own music. He certainly lucked out with this band; not only did they perform brilliantly but they did so without any written music having taken the trouble to learn it all. The interplay between the three of them was clearly evident interacting perfectly with each other. The music had that gorgeous flowing feel that the best piano trios seem to manage to evoke - the musical equivalent of surfing on a wave. The tunes intricate and fascinating kept one engrossed at all times. 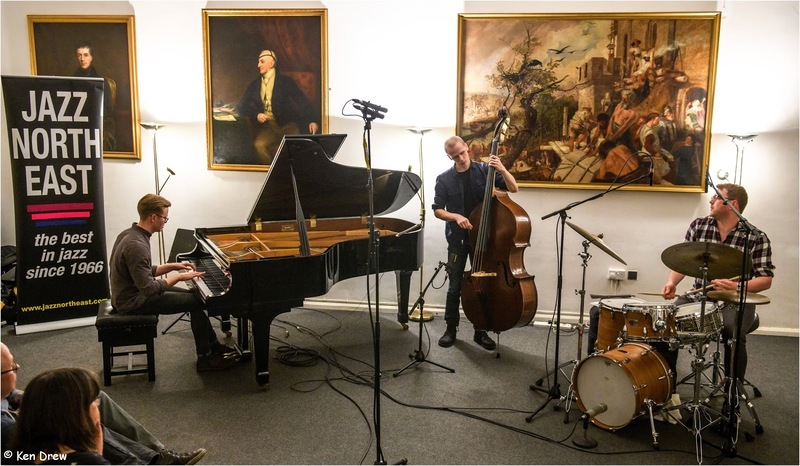 Naylor is a fantastic player and did more than justice to the venue’s wonderful grand piano, Jurd on bass and Silk on drums weren’t far behind. The band fully deserved the encore that the audience demanded. A great evening and I can’t wait to see this band again as soon as is practically possible. 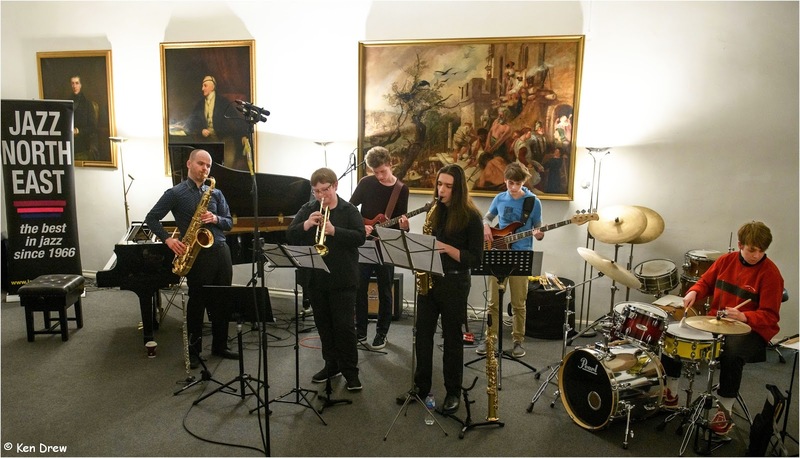 Paul Edis (piano/reeds); Lucien Guest (trumpet); Haaruun Miller (soprano /alto); Tom Henerey (guitar); Alex Shipsey (bass); Dylan Thompson (drums). Earlier in the evening, we were treated to a performance by The Early Bird Band in what is their ‘home ground’ so to speak. The band of up and coming young musicians led by mentor Paul Edis get together at The Lit and Phil first thing on a Saturday morning to develop and hone their jazz skills. The band played mainly standards plus a couple of originals. There is something particularly uplifting about seeing a group of youngsters embrace and carry forward this great art form and thus guaranteeing its future for years to come. Totally agree Steve the Early Bird Band give us high hopes for the future. MERAKI were just amazing, a night of wonderful engaging music. Good work Jazz North East.